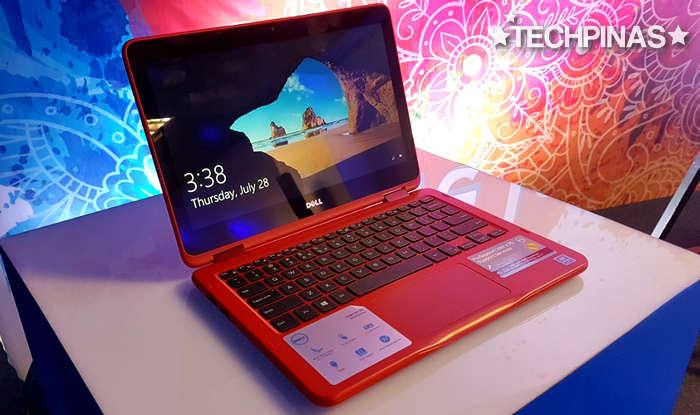 Just in time for back-to-school season, Dell Philippines officially launched a new and affordable 2-in-1 hybrid laptop that could be a perfect companion for students and young consumers. 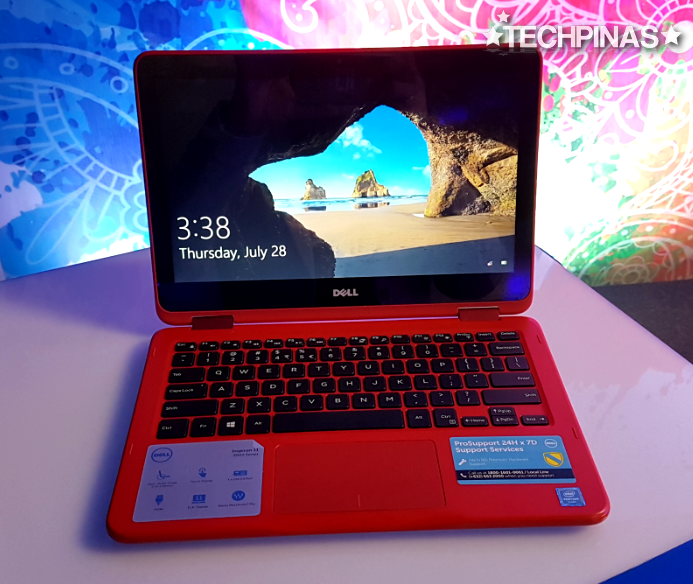 Dell Inspiron 11 3000 2-in-1 notebook was formally announced in our country on Thursday - July 28, 2016 - at an exclusive media event held in Makati City. 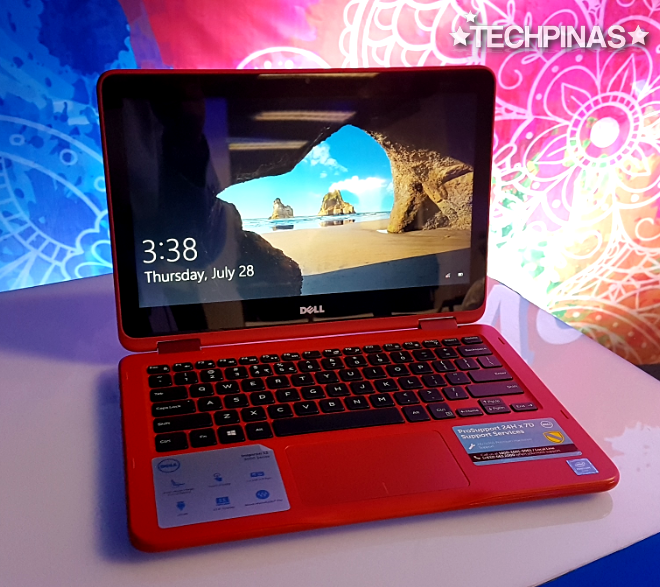 With official SRP of Php 23,790, the product is now available at all Dell authorized retail partners nationwide. 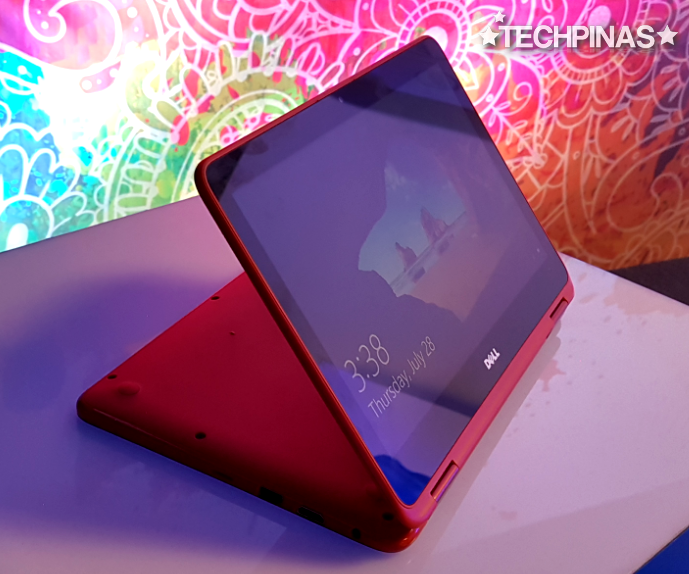 Apart from having a really cool design and coming in bright Red and Blue hues, what's interesting about this model is that it has a touchscreen and an innovative hinge that allows it to transform into multiple modes of use. There's Tent Mode that's handy when giving presentations. Flip mode is great for watching movies and you don't want the keyboard in the way. For playing games and browsing social networking apps, there's Tablet Mode. 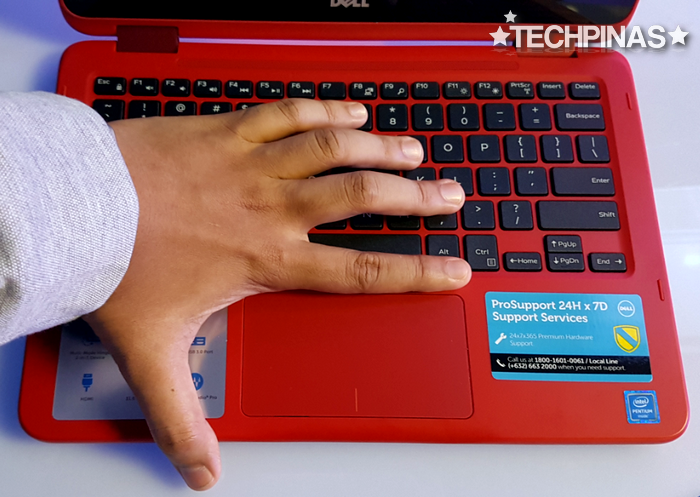 And of course, there's the regular laptop mode for productivity or for working on school papers, Powerpoint presentations, and projects. I think this machine will also be great for bloggers who love updating their websites on-the-go. 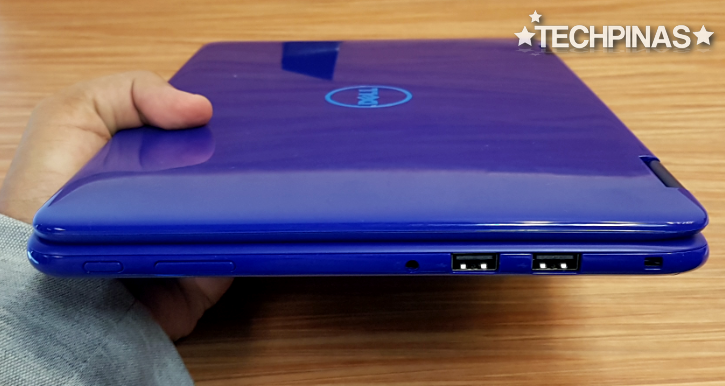 Dell Inspiron 11 3000 2-in-1 is rather light for a notebook with touchscreen and the keyboard has good travel and nice tactile feedback. The keys aren't mushy. The trackpad is also sizable and is pretty responsive. 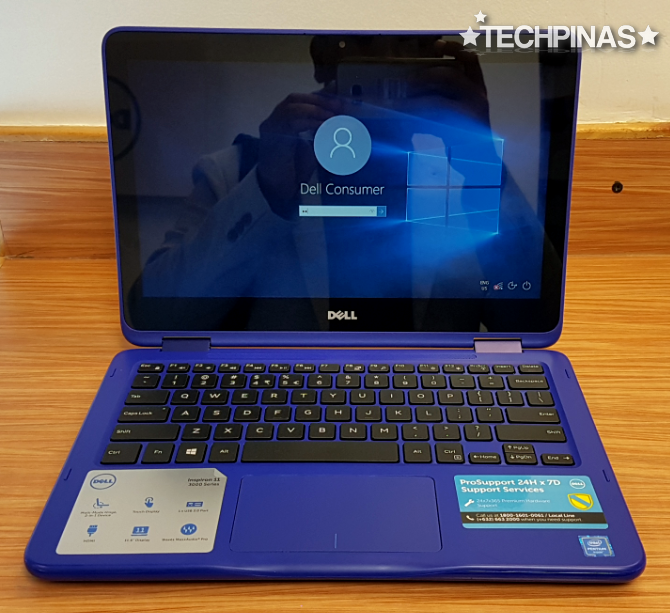 According to Dell Philippines, "This 11-inch 2-in-1 combines the performance of a laptop and the convenience of a tablet in an affordable ultraportable design that makes it easy to take anywhere. It offers a rich set of features wrapped in a colorful, fun design that’s easy to use and built for the long haul. It features the latest processors from Intel providing speedy performance for surfing the web, writing a term paper, editing videos or doing web chats." "A vibrant HD resolution (1366 x 768 pixels, 11.6-inch) display provides crisp, bright image on-screen and is easy to position for clear viewing. The laptop’s USB 3.0 port and Micro SD media card reader make managing the user’s digital library a snap. With 8 hours of battery life (provided by its 2-cell battery), the new Inspiron 11 3000 2-in-1 is designed for unplugged adventures. 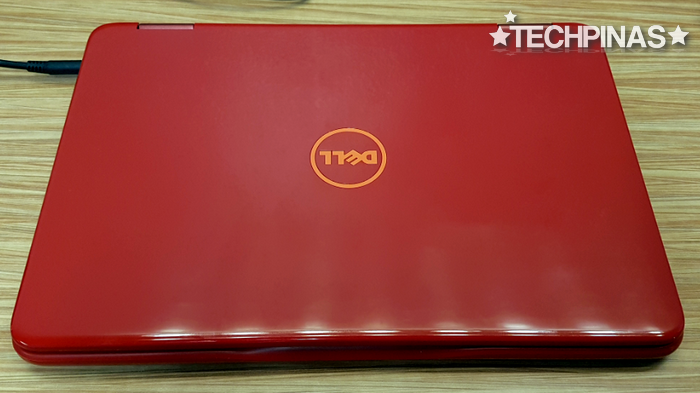 Whether moving in-between classes, roaming around the shopping malls, stuck in traffic when commuting, or moving around the house, the Inspiron 11 3000 2-in-1 is an ideal companion for entry-level users," they added. 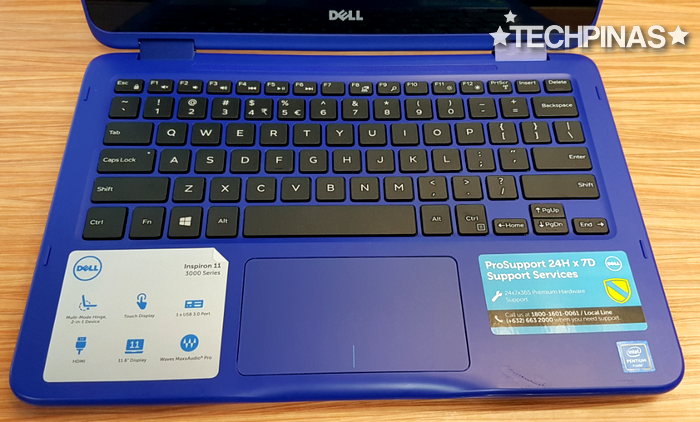 Dell Inspiron 11 3000 2-in-1 runs Windows 10 right out of the box with an Intel Pentium N3710 processor (2MB Cache, with clockspeed of up to 2.56 GHz), which should be good enough to deliver a stutter performance with regular school tasks and to give a decent light 3D gaming experience. 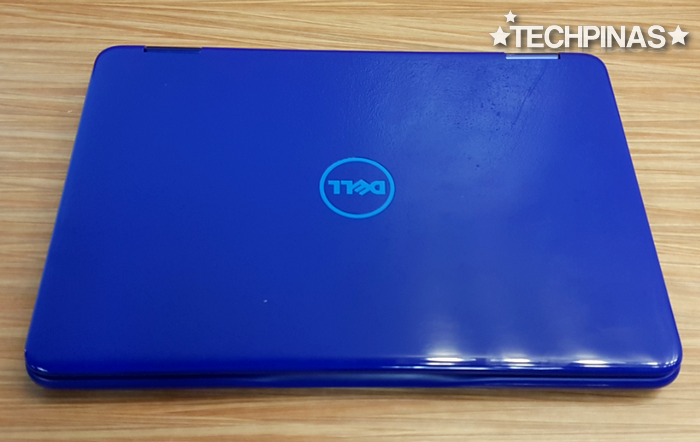 The processor is complemented by Intel HD graphics, 4GB Single Channel DDR3L 1600 MHz RAM and 500GB 5400 rpm Hard Drive, which are quite expected at this price point. 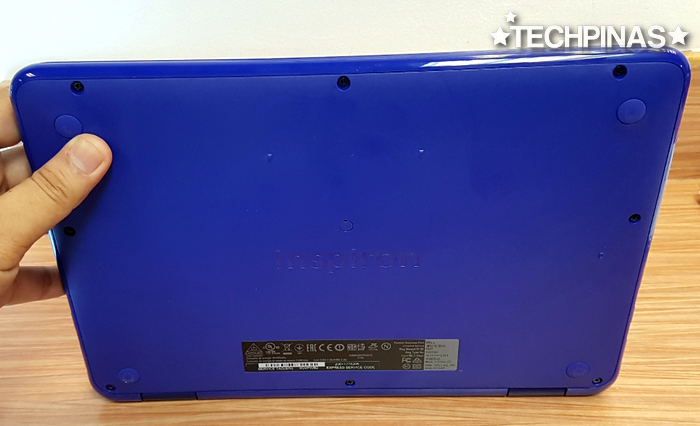 Check out the clean bottom plate with be-grooved Inspiron logo in the middle. You have the two USB 2.0 ports, 3.5mm combo jack, and Noble lock slot on the right panel. The ports for charging, HDMI, and USB 3.0 are located on the left side along with the microSD card slot, for quickly transferring files from your smartphone or camera. 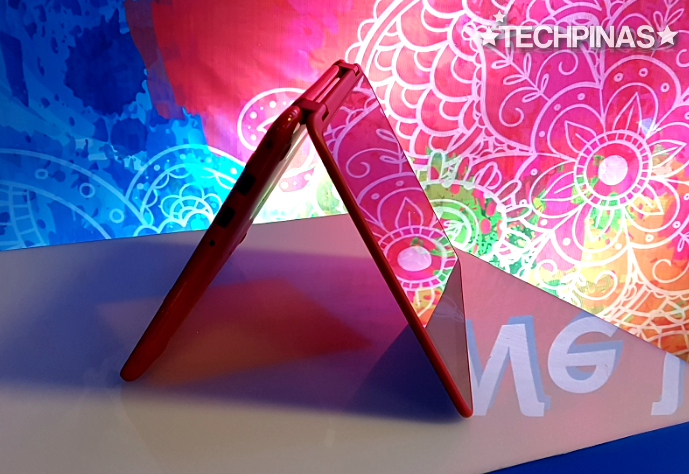 Check out the hybrid's unique hinge mechanism that allows the screen to fold all the way back. 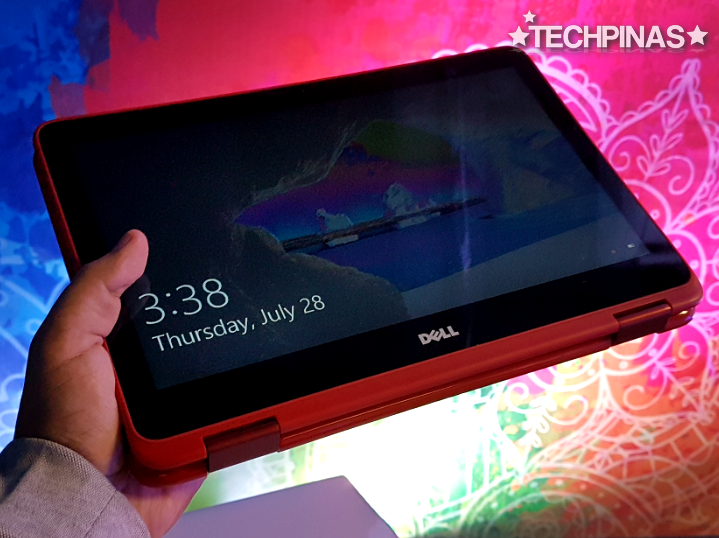 “With the new Inspiron 2-in-1 lineup, our customers in the Philippines can work where they need to and play when they want to. Whatever you can create or imagine, you can achieve it with the 2-in-1 laptop best suited to your needs. 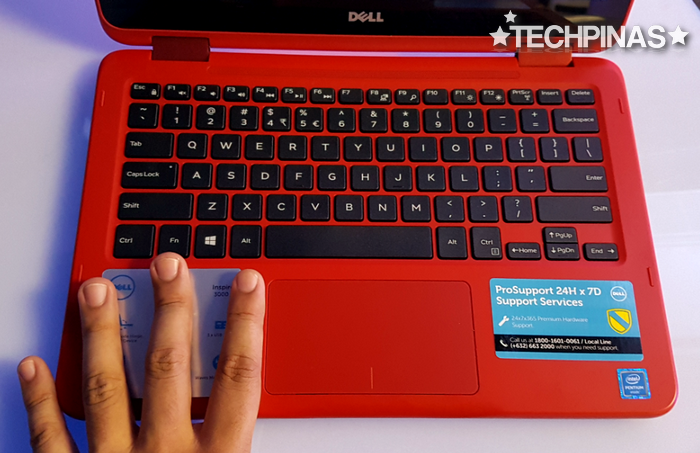 Dell is thrilled that our innovative technology can help make your creation a reality. Our customers inspire us, and we keep on innovating for them," shared Mr. Chris Papa, Country Manager of Dell Philippines. As someone who loves to working on blogposts, enjoying games, and updating my social media accounts on the road or away from my home office, I think this hybrid would be perfect for me too.